Yeah! The book club meeting was at my house this month. 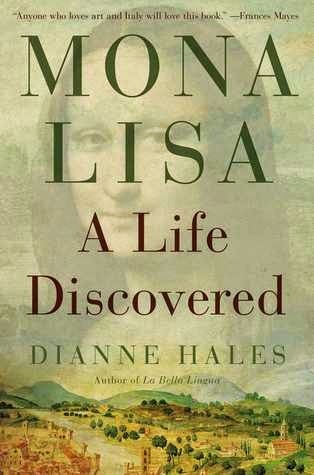 My book selection was Mona Lisa, A Life Discovered by Dianne Hales. I was looking forward to reading the book and hosting the meeting. At first I was thinking just Italian food. 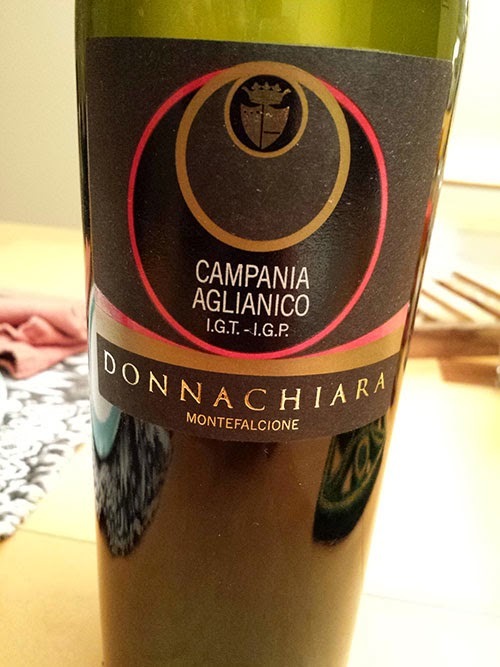 But then I decided to refine it by just doing Tuscan food and wine. We started with an antipasto. 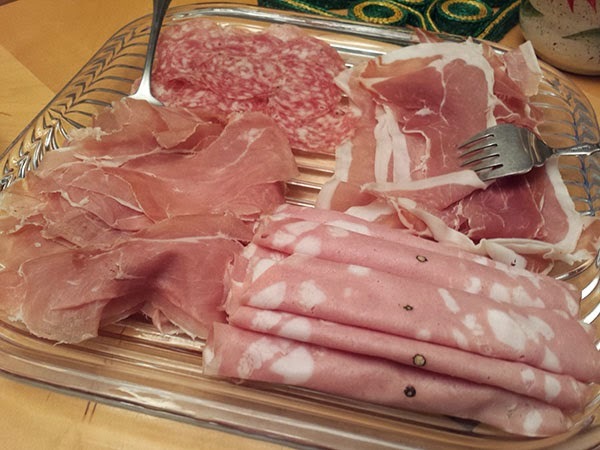 Mortadella, Salami, Serrano Ham and Prosciutto. I love typing those names as much as I do eating them! 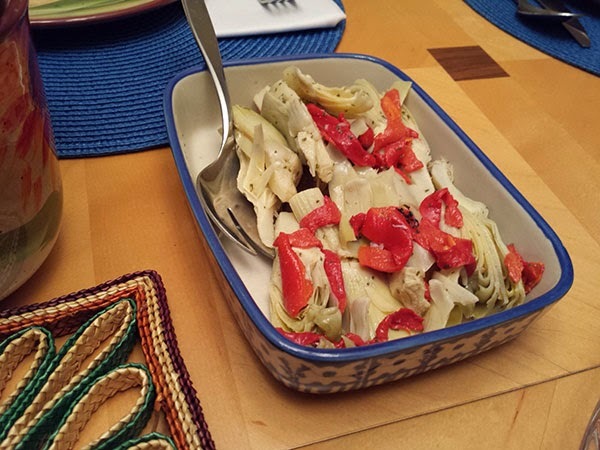 Assorted olives, an artichoke and red pepper salad and marinated mushrooms. Thank you to Whole Foods for slicing the meats perfectly and preparing the antipasto ingredients. The bread was from Pasta Avest, I too was surprised I didn't bake the 18-hour bread, just ran out of time! But I did make the Black Pepper Breadsticks. Rice Balls are not Tuscan but any excuse to make them... 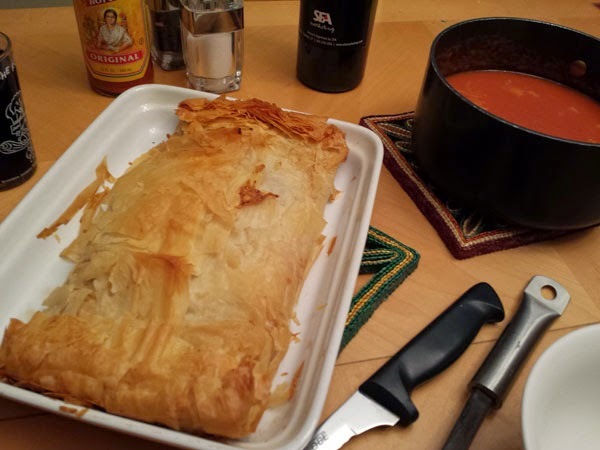 The Sauce was Marcella Hazan's Tomato, Onion and Butter Sauce. Perfect sauce every time! 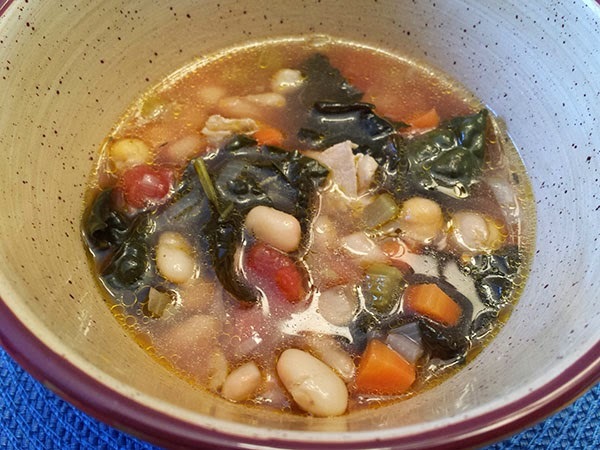 Next we had Tuscan Bean Soup. The recipe is gluten free and dairy free. It was so easy to make. I made the soup Thursday night, I read somewhere that soups taste better on the second day. It was very good. I may be spoiled but I think it would have even been better with homemade broth! And I did use Tuscan Kale! I got help on the wine selection from my nephew. 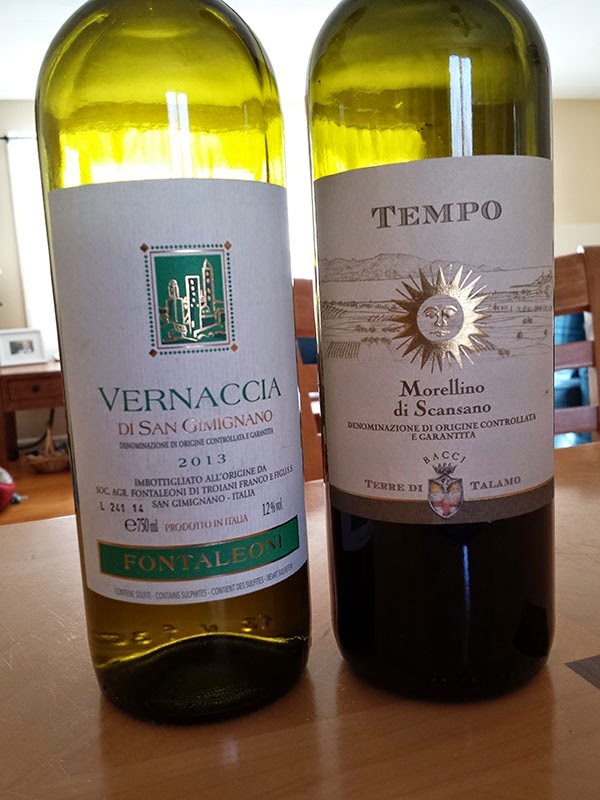 Fontaleoni Vernaccia di San Gimignano 2012 and Tempo MOrellion de Scansano. Of course these are my favorite leftovers! For dessert I picked up some gluten free cookies from Meriano's. I did not realize Pignoli Cookies were gluten free. That fact just made me so happy! I fixed a citrus salad with mint. Just sliced Navel, Blood, and Cara Cara Oranges then topped the stacks with chopped mint. 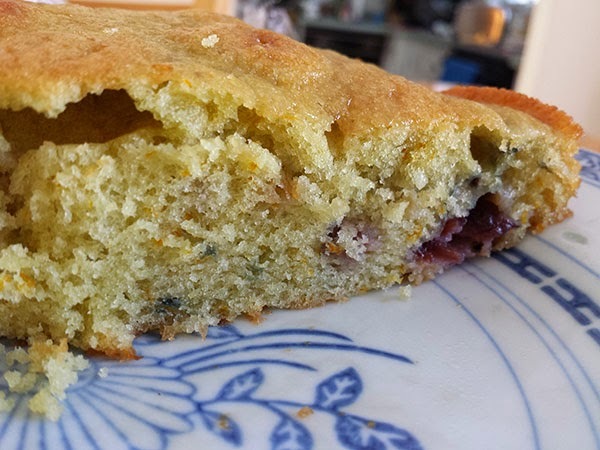 And I have been wanting to make an olive oil cake for awhile. 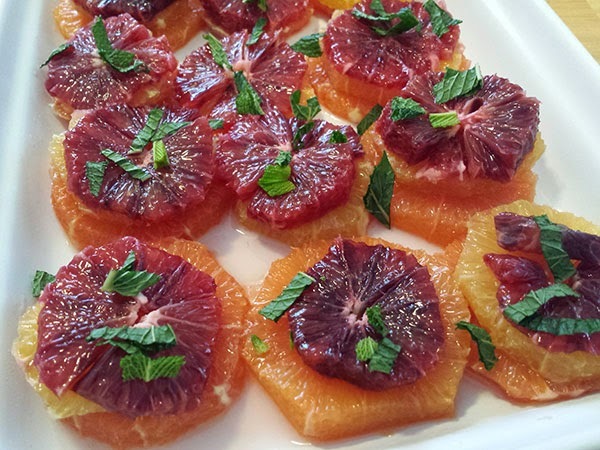 I had the blood oranges and I found this recipe - Blood Orange Olive Oil Cake. The original recipe made a loaf size cake. 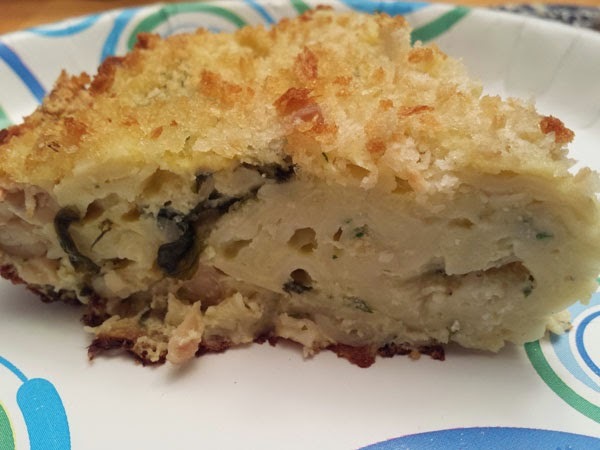 Not wanting too many leftovers, I made a half recipe and baked it in a cake pan. I loved this. Everyone loved this. It was so light. Yes, this will be made again! We also had Date Almond Rolls. I have never had these before. Wow. Delicious! And there were Chocolate Cookies which I forgot to put on the table. I am eating on now as I type this and I am not sure what is in these cookies but it is hard not to eat another one. I will have to get this recipe! It was a wonderful evening with good people, good conversation, good food and good wine. Excuse me but I have to get another one of those cookies! The snowstorm/blizzard is over. Thank God we did not lose power. We ended up with almost 2 feet of snow. 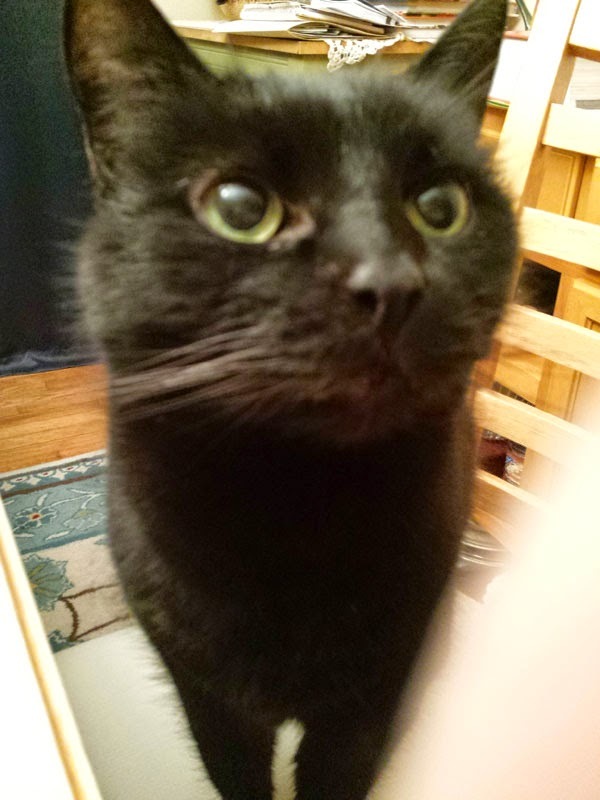 Worked from home today which was nice treat for the cats. Dinner was already set for tonight. 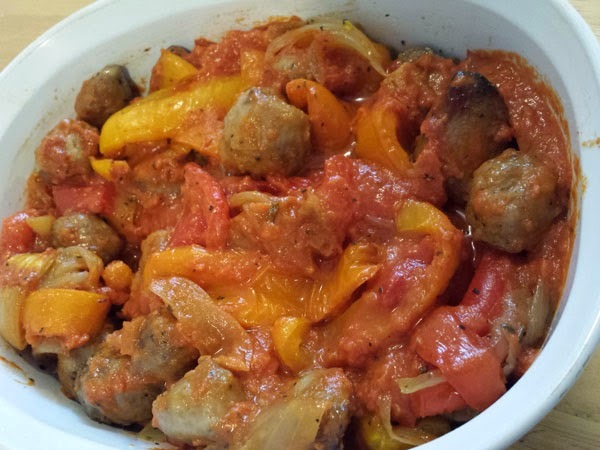 I roasted the peppers and sausage on Sunday and added some sauce that we had in the fridge. Keeping it simple tonight. 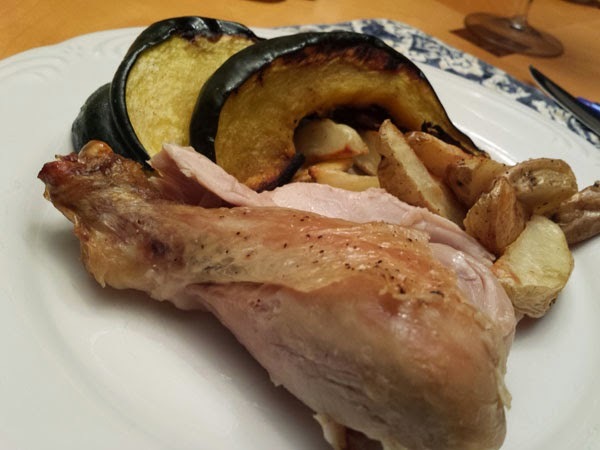 Saturday night we had the Roasted Chicken. That meant we had a chicken carcass and some meat leftover. Perfect time to try a recipe I had pinned. 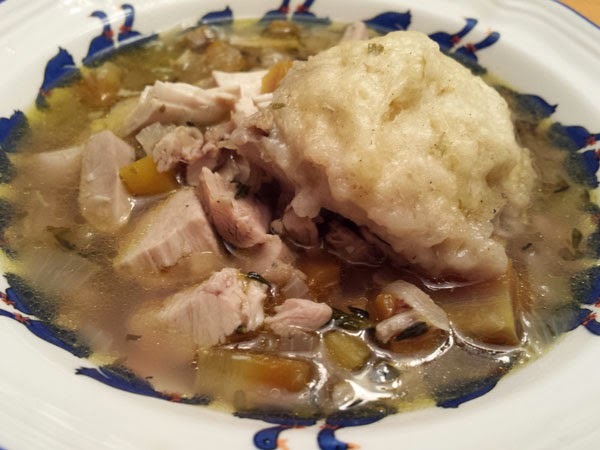 From Cooking Light we had Chicken and Dumplings. You know what I love about pizza? 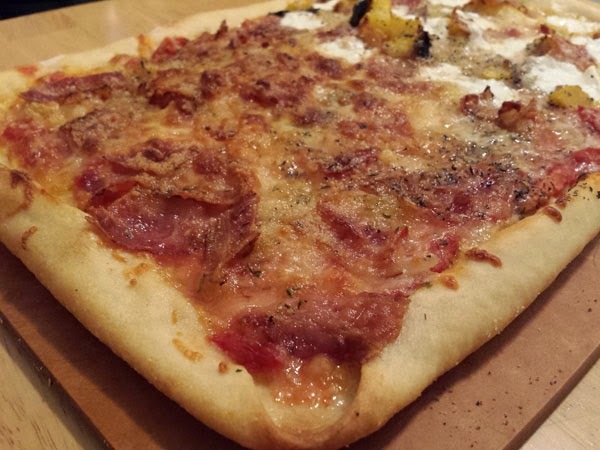 The toppings can be anything you have in the fridge. Tonight I made half the pie with bacon and onions. 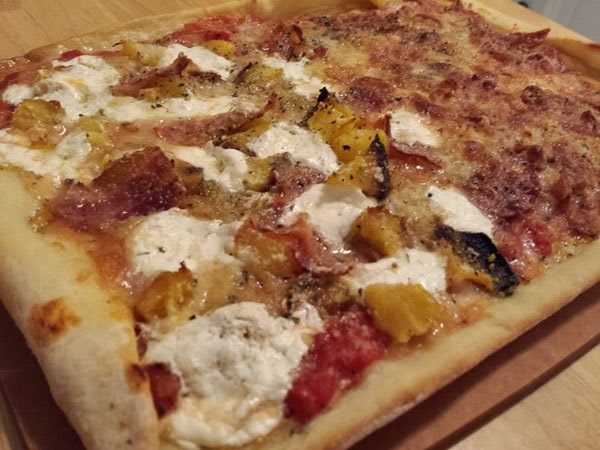 The other half was onion, acorn squash (leftover from last night) and Burrata Cheese (from last Saturday's dinner). Nice way to start the week off. Let's start at the beginning of the day. Breakfast. Remember those very large English Muffins I made last week. Well this week I made them the correct size, still came out rather large, but added Cinnamon. Wow wow wow. Want to try them? They really are easy. Click here for a life changing experience, well sort of life changing. Now on to dinner. 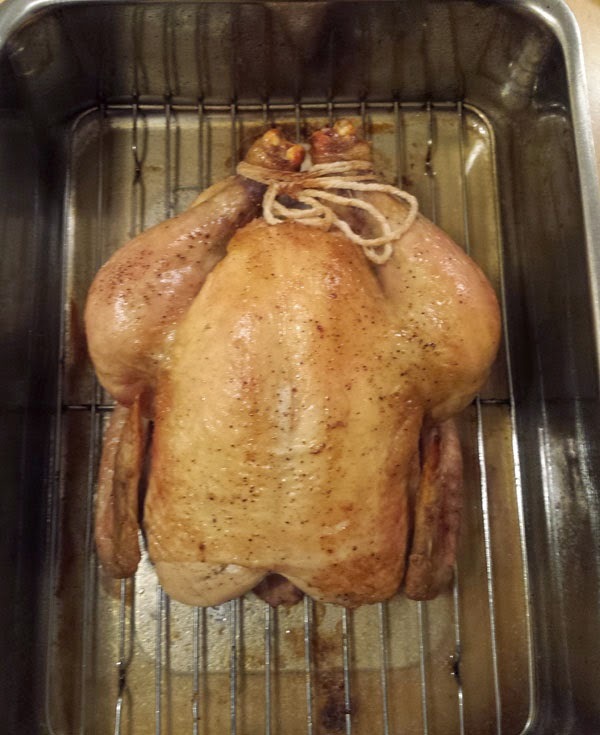 A Roast Chicken. A simple meal but one that I am not quick to make. Why? Fear of serving raw meat? Maybe. But I have a meat thermometer so that should not be the issue. It is because I tend to over think the roasting of the chicken. But it is quite simple. Just put some lemon and herbs into the cavity and pop it in the oven. Ta Da! Don't believe me? Well read this recipe and you too will see how simple this is. Side dishes were Roasted Acorn Squash and Roasted Potatoes. And dinner caught Archie's attention! Now about that new love in my life. Bread pudding. Panettone Bread Pudding to be exact. 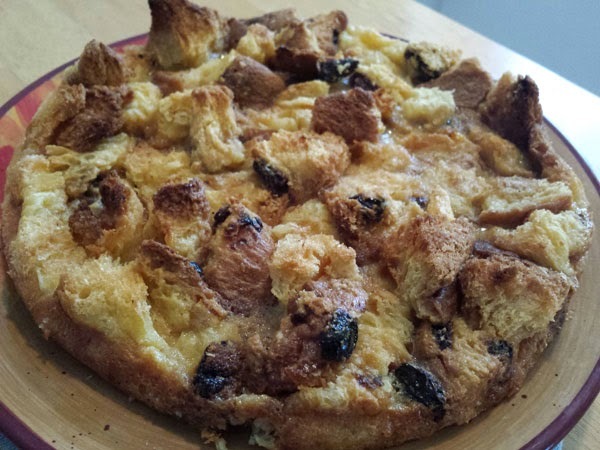 My mother never made Bread Pudding, at least not that I can remember. We received a loaf of Panettone at Christmas and I wanted to find a use for it, other then toast. I put half of the loaf in the freezer and the other half was transformed into something so wonderful. The recipe is from Epicurious. I did not have enough Vanilla, I know I could not believe it myself. But I had Brandy extract. Oh yeah. That is the way to go. It was moist and the flavors were out of this world. The recipe is suppose to be prepared in a 13"x9" pan. Way to much for the 2 of us so I cut the recipe in half and used 2 round cake pans. Perfect! Remember my post These Are A Few Of My Favorite Things? Well this is what I did with the leftovers. Chris said he liked this better than the original dinner. This disappeared really fast. 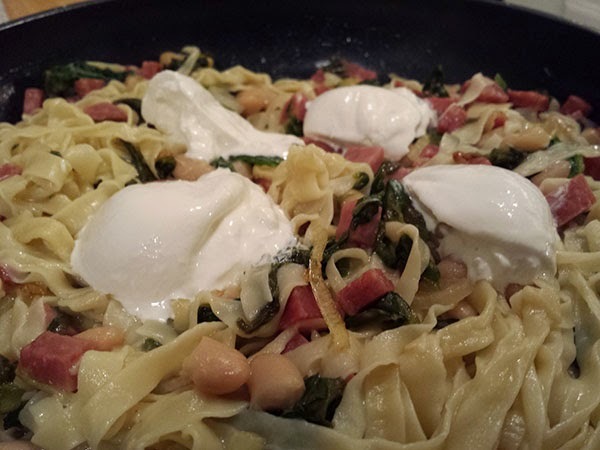 Here is the recipe I used, it is from Cooking With Chef Silvio: Stories and Authentic Recipes from Campania. I have made a couple of changes to the original recipe. In a bowl, beat the eggs, grated cheese, cream, parsley, salt and pepper until well combined. Stir in the spaghetti, then set aside. Spray pie dish with cooking spray, Pam is what I use. Pour the spaghetti mixture into the pan and spread evenly. Bake at 425 degrees for 8 to 10 minutes,or until it is firm and golden. 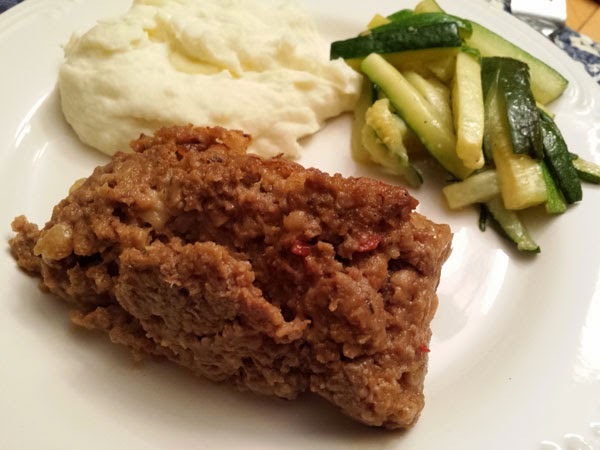 I made this meatloaf recipe back in 2009. I have over time made a couple of changes. Here is what I think is the best version so far. Preheat oven to 350 degrees. In a saute pan heat olive oil over medium heat, add onion and carrots. Saute until tender. Combine all ingredients in a mixing bowl, except 1/2 cup Crispy Fried Onions, and mix well. Place mixture into a loaf pan. Sprinkle 1/2 cup Crispy Fried Onions over the top of the meatloaf. Bake uncovered for 1 to 1 1/4 hours until no pink remains at the center of the meatloaf. 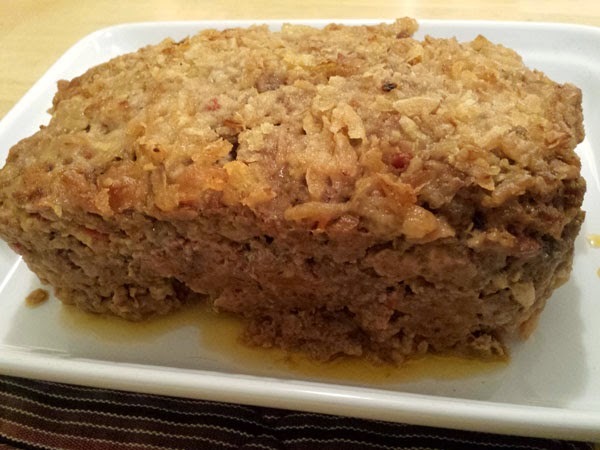 If using a meat thermometer, the internal temperature of the meatloaf should be 160 degrees. After baking, let sit for 5 minutes before removing from pan and slicing to serve. I had a small pork shoulder in the freezer, 4 pounds, and decided to roast it today. I found this recipe on Bon Appetit. 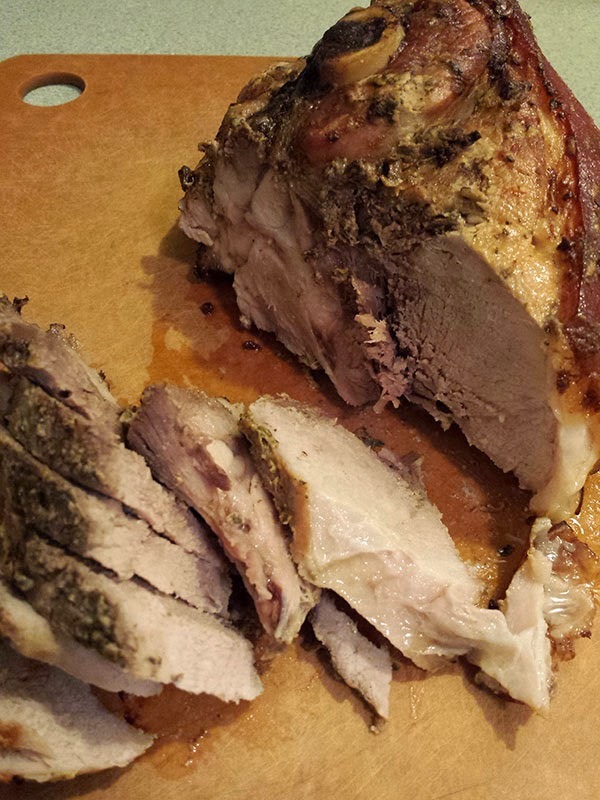 Slow-Roasted Pork Shoulder with Mustard and Sage. The result was over the top good. I even served it with a soft polenta. The meat was so tender and so full of flavor. A few of my favorite things on one plate. Homemade pasta. Escarole and Beans. Sopressata. Burrata Cheese. Heaven. And I think Chris liked this dinner too. I made the pasta using my new(!!!) food processor. I am a newbie at making pasta in a processor. I used a different recipe for tonight's pasta. I found this recipe on the Food Network site. The dough seemed moister than the recipe I have been using. I have to tell you it was a lighter pasta. We could have eaten the whole pan, but we did not. And the whole idea of making the pasta in the food processor was amazing. No more egg running over the side of a wall of flour and mixing everything on the table top. 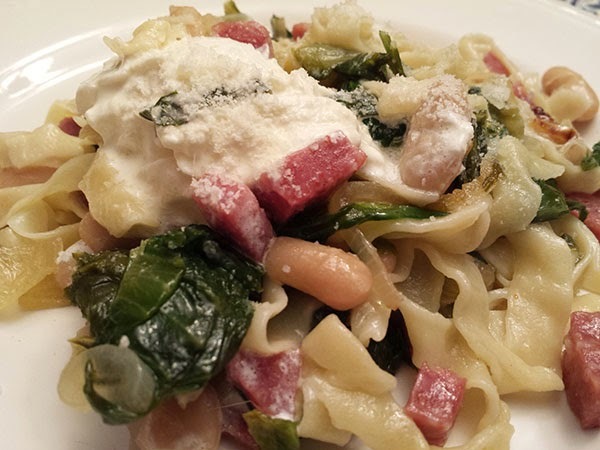 Besides homemade pasta there was the Sopresseta and Escarole and beans. A perfect combination on any dish, from pizza to pasta. I sauteed a sliced onion in some olive oil and than added the cubed Sopresseta. Next I added the chopped escarole which had been cooked in boiling water for about 5 minutes and drained. 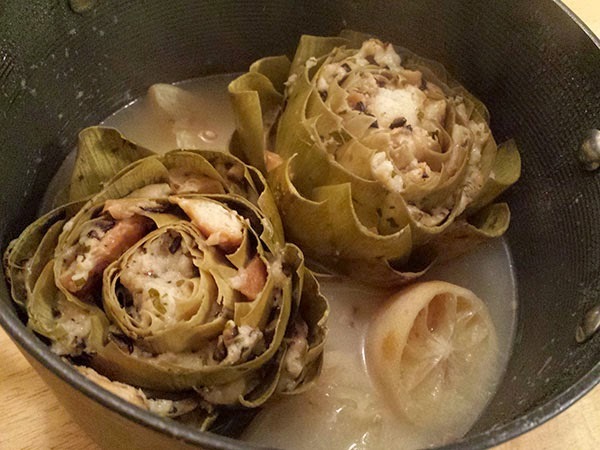 (The water the escarole was cooked in was added to the pasta water.) I seasoned everything in the saute pan with crushed red pepper, salt and pepper. Half a can of drained Cannelini beans were added as was 2 tablespoons of butter, 1/4 cup chicken broth and 1/4 white wine. After the wine cooked down. I added the cooked pasta along with a little of the pasta water. 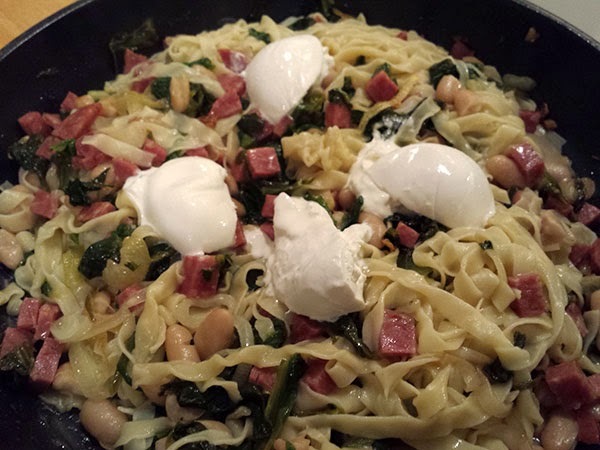 I cut the Burrata cheese into 4 sections and added it to the top of the pasta. Delicious! And if it is the weekend I had to have baked something. 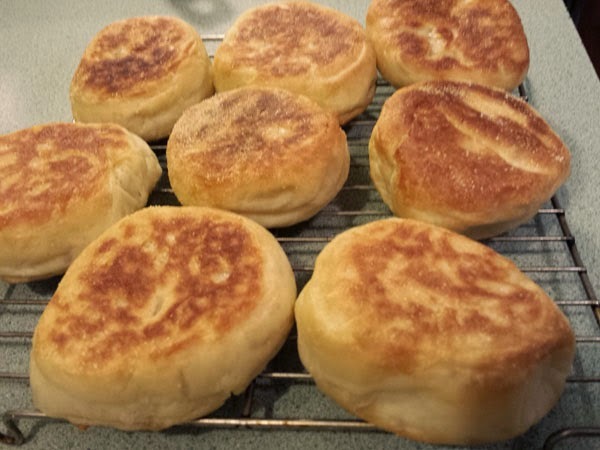 Last week I jumped into baking English Muffins. This week I made Whole Wheat and Honey English Muffins. The recipe said to make 10 muffins. For some reason I did not want 10 muffins. I wanted 8. Well, we know have 8 Extra Large English Muffins. Luckily they are really good! Not much to add to this photo. That is really all there is to tonight's dinner. But a Tuesday with Pasta and Meat Sauce for dinner. 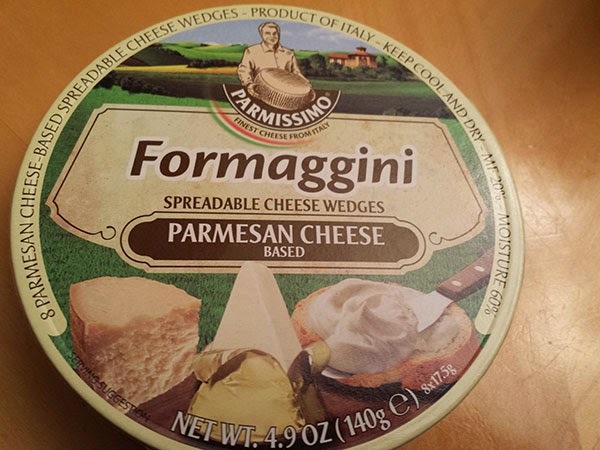 And some Spreadable Parmesan Cheese for the Italian bread. And why not open a bottle of wine! 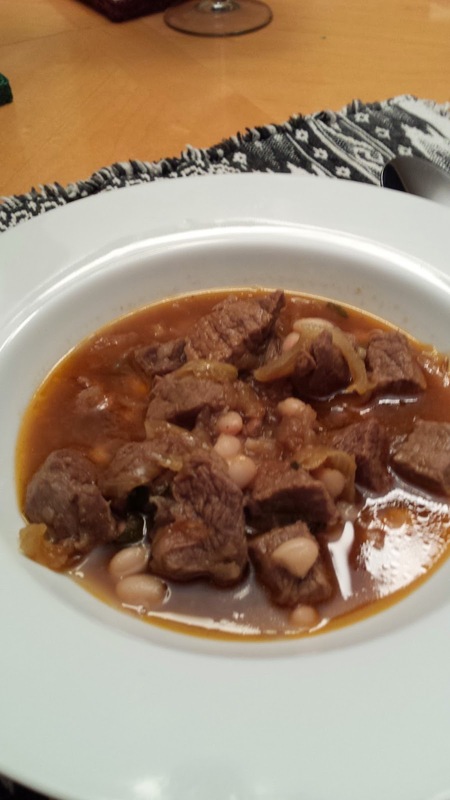 Just a simple and delicious beef stew recipe. I made this yesterday so tonight Chris just had to heat it up and add the beans. Simple cooking. 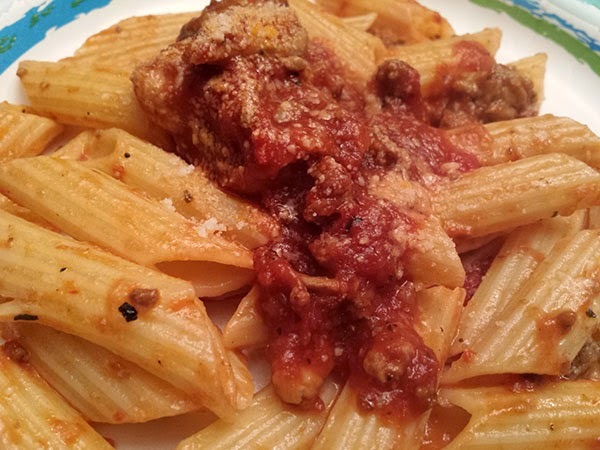 The recipe is from Every Night Italian and the recipe can be found at this link. Something for me and something for Chris on tonight's menu. 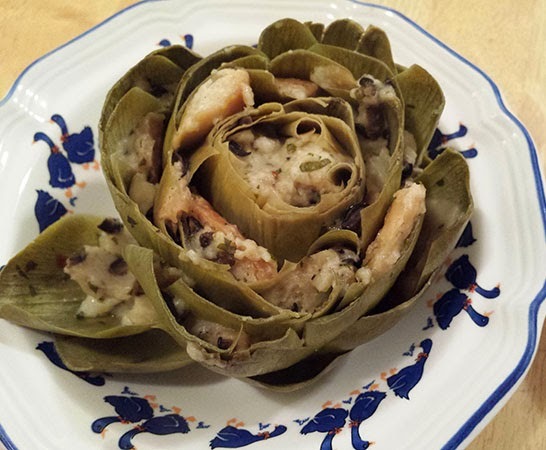 The Artichokes recipe is from Food Blogga. Sorry about the quality of this photo. I can not believe I only took one photo! 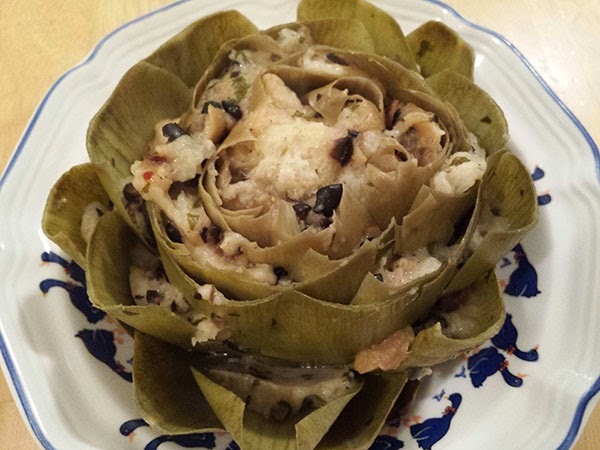 The stuffing is very similar to my mom's. I did not have pine nuts in the house so they were omitted. 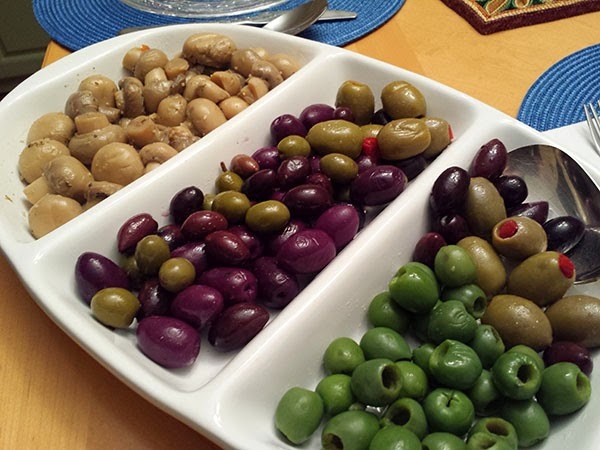 And I thing next time I will use regular canned chopped olives. I know that is what my mom used. 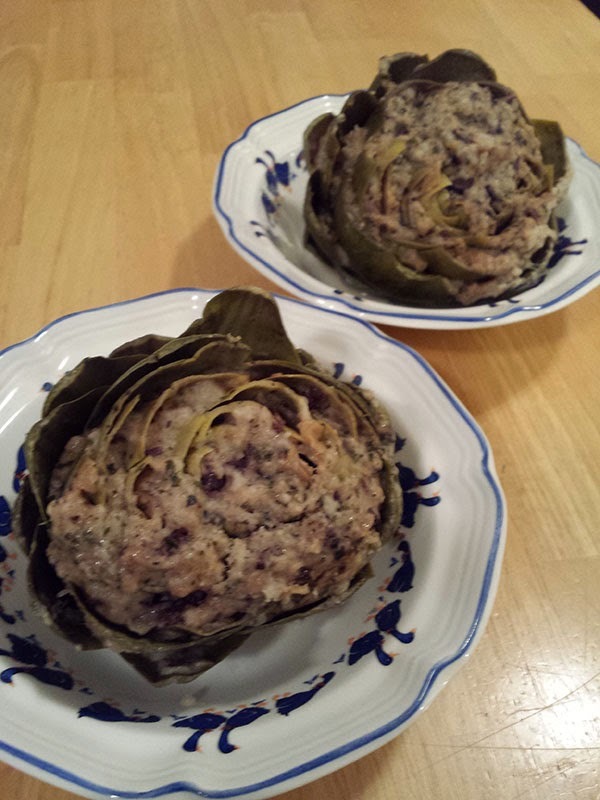 Click here to try this amazing recipe. 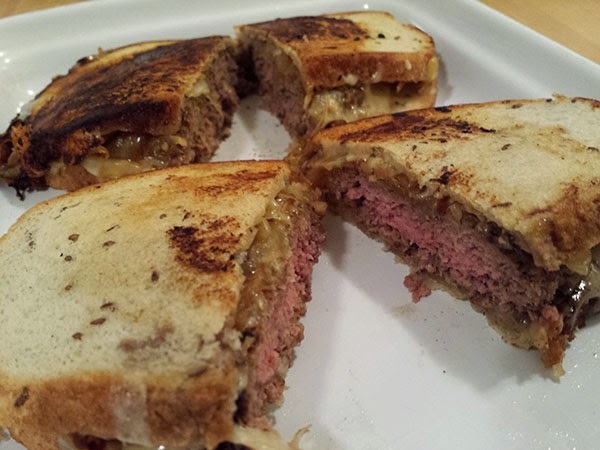 About that Patty Melt. I can not think of a better recipe for a cold, very cold Sunday evening. The meat and onions and cheese add up to a most delicious type of dinner. I am trying to cook healthier this year but I think this is one of those "exception" recipes. Delicious but probably not something you should make too often! The recipe is from Bon Appetit. Click Here for the recipe. And what the heck is this? Well tomorrow a co-worker is returning to work after a couple of weeks off for medical reasons. I wanted to welcome her back with one of her favorite things, Nutella. 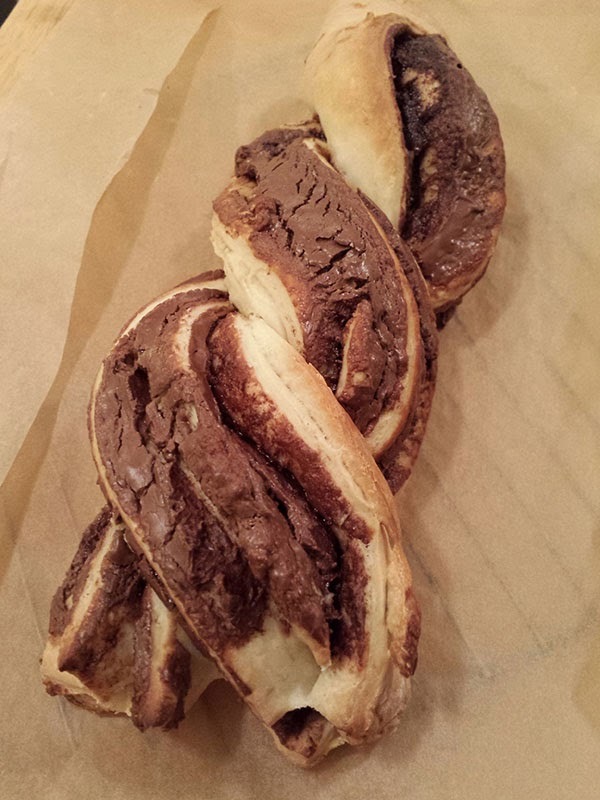 So I found a recipe for a Nutella Swirl Bread. OMG! 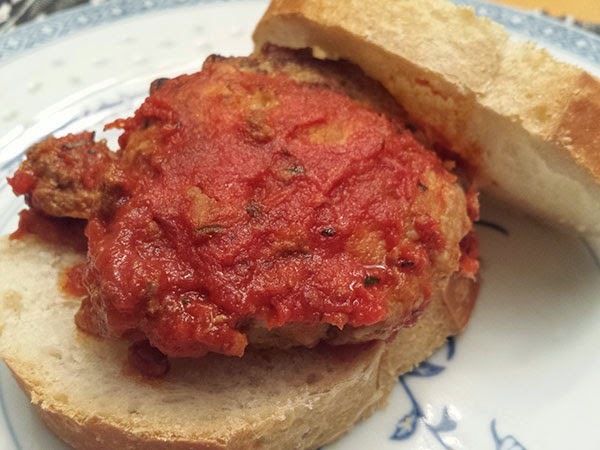 So darn easy and so amazingly delicious! * Here is the recipe. 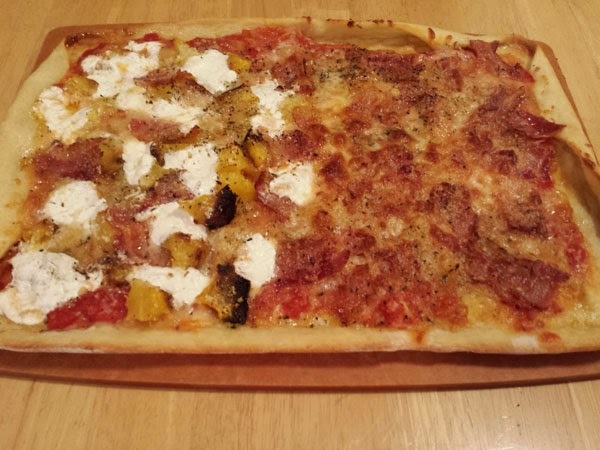 It is from the Laura in the Kitchen blog and it is amazing! * - Yes this post was written on Monday, January 12. I brought the bread to work today and it disappeared very quickly! 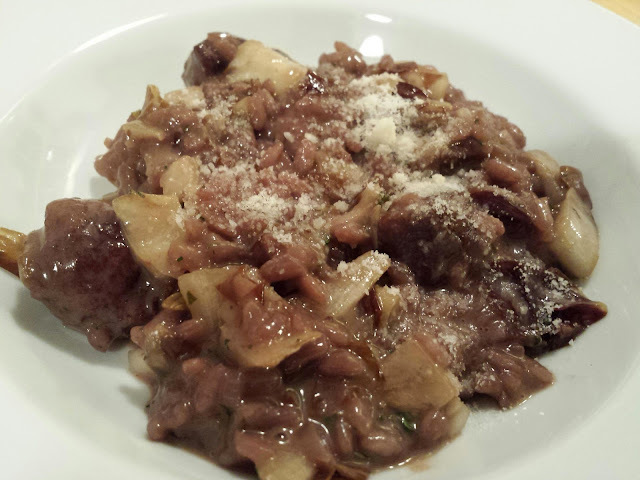 Tonight we had Sausage and Radicchio Risotto from Luca Manfé's My Italian Kitchen. Wow! I watch Hells Kitchen all the time and risotto is one of the dishes that always resulted in someone to be called a "donkey" by Chef Ramsey. Yes I was a little nervous making this. And it is time consuming. You actually have to stand there and stir for at least 20 minutes. Well I solved the standing there for 20 minutes problem. The solution was to hold an Absolute Vodka and Soda while stirring. Worked out perfectly. By the time I finished my cocktail the risotta was cooked perfectly. Or as Chef Ramsey would say, "Spot On!" I found the recipe for tonight's dinner online. 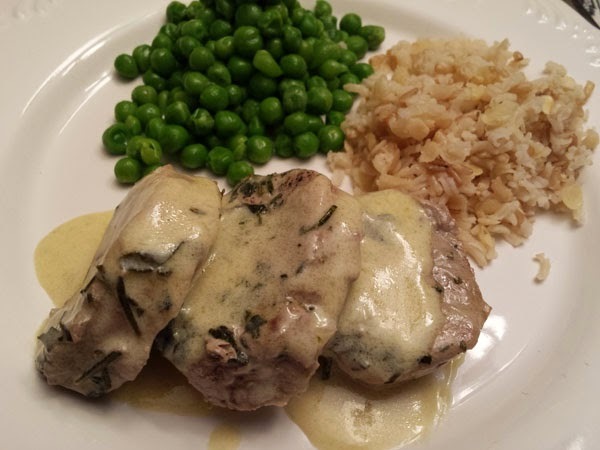 Pork Loin with Wine and Herb Gravy. I am not sure how I came upon the site seasonsandsuppers.ca but if you have time you should visit it. I know I will be visiting again. Back to dinner. I had all the ingredients in the house. I worked from home today so I thought I would be able to pull this off without having to serve dinner too late. Well of course I had to work longer than usual, 45 minutes, so I had to make an change in the recipe. 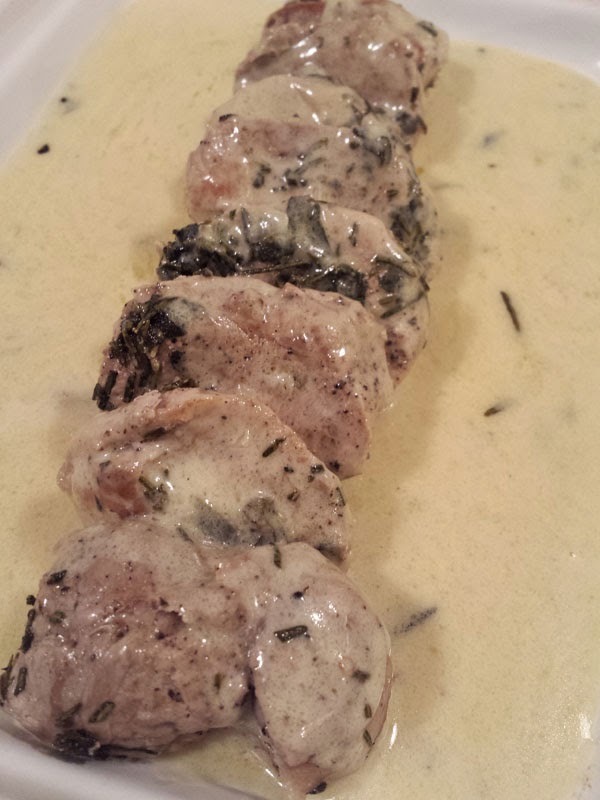 I cut the pork loin into medallions. This reduced the cooking time by a lot! 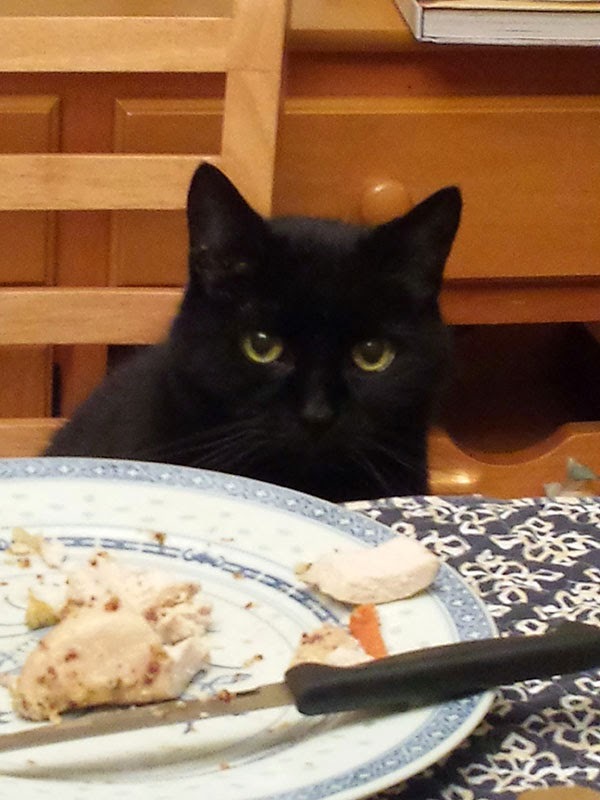 I had dinner on the table by 6:45! And it was delicious. And using only one tenderloin, and cutting the ingredients in 1/2 there was just enough for the two of us. This morning it was snowing. I was glad I picked today to work from home. When it snows I like to bake bread. Actually I like to bake bread all the time but on a snowy day it just seems like the right thing to do. I made English Muffins for tomorrow's breakfast. Oh they look so good! Another wordless Wednesday. But if you want to make try this recipe click here! 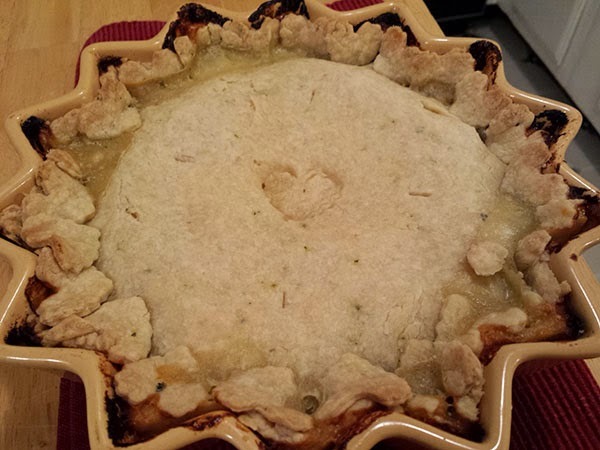 And yes those are heart shaped crust cut-outs around the edges of the pie. Do we have another meatless meal that got 2 thumbs up? Yes we do! I think the roasting of the vegetables added a lot of flavor to the dish. 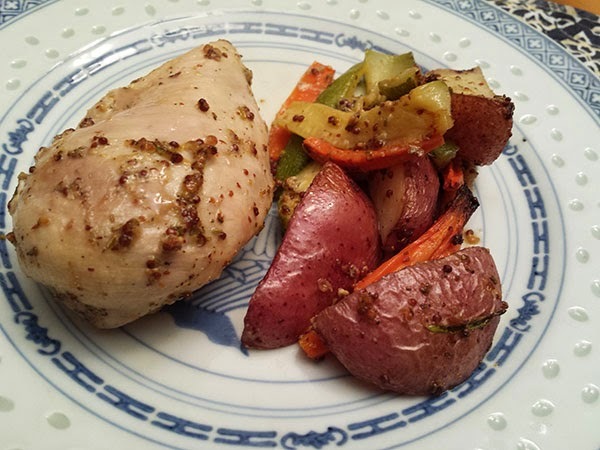 This dinner was from The Make-Ahead Cook. We have enough for another meal. So I guess this would be classified as a cooking for 2 meal. 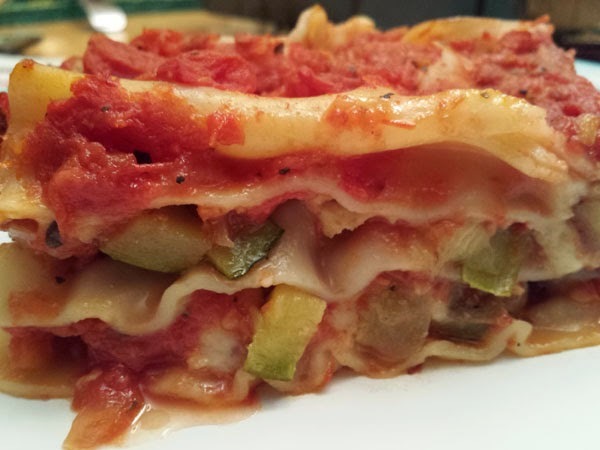 My version of Roasted Zucchini and Eggplant Lasagna, from The Make-Ahead Cook. Grease two rimmed baking sheets. Adjust oven racks to lower middle and upper middle positions and heat oven to 400 deg F.
Toss zucchini and eggplant with 3 tbsp olive oil, 1 tsp salt and 1 tsp pepper. Spread on baking sheets and bake, stirring occasionally, until softened and golden brown, 35-45 minutes; set aside to cool. Meanwhile, heat remaining 1 tbsp oil in large saucepan over medium heat until shimmering. Add onion and cook until softened, about 5 minutes. Stir in crushed tomatoes and diced tomatoes with their juice, bring to simmer and cook until flavors blend, about 5 minutes. Spread 1 cup cooled sauce on bottom of a 9x13 baking dish. Lay 3 noodles in dish, spread one-quarter of cooled vegetables over noodles, and top with 1 cup sauce. Sprinkle 2/3 cup mozzarella and 1/2 cup Parmesan over sauce. 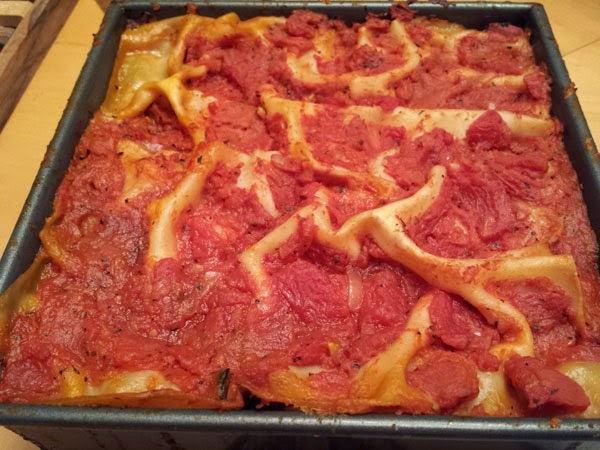 Wrap dish tightly with plastic wrap and refrigerate lasagna, and the remaining sauce, for at least 8 hours and up to 24 hours. Adjust oven rack to middle position and heat oven to 400 deg F. Unwrap dish and spread reserved sauce over top. Cover dish tightly with greased aluminum foil and bake lasagna until hot throughout and bubbling around edges, about 45 minutes. Remove foil, sprinkle with remaining mozzarella and Parmesan an bake, uncovered, until cheese is melted and begins to brown, about 10 minutes. Let cool ten minutes, and serve. The food we had tonight was cooked yesterday and Chris had to heat it up when he got home. That is how we roll. I have bit of a commute so to prepare dinner when I get home would result in eating at 8 or 9 o'clock, which is too close to bed time! 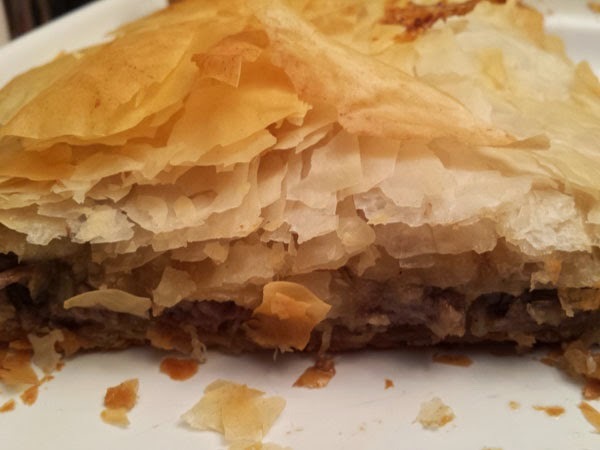 I have been making this French Onion and Beef Strudel since March of 1994. I found the recipe in one of those cookbooks that they sold at the check out counter. The original recipe calls for an 8 ounce can of Crescent Rolls. 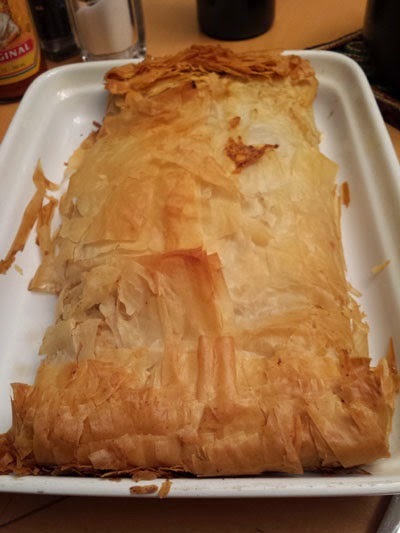 I had Phyllo dough in the freezer so I used that instead. The results, well lets just say there is only a little left over. 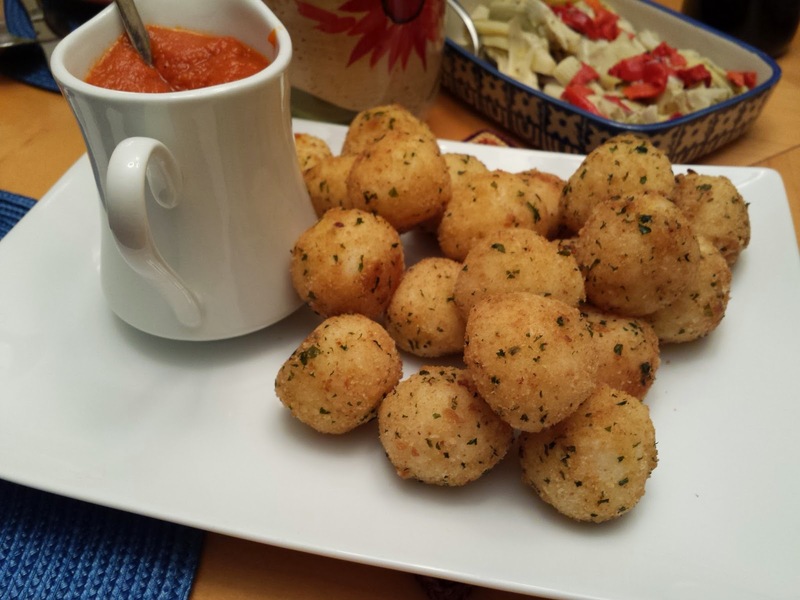 In a small bowl combine mozzarella cheese and 1/4 Parmesan cheese. Set aside. Melt butter in a large skillet over medium heat. Add onions. Cook and stir until the onions are a rich, golden-brown color. Remove onions with a slotted spoon and set aside, leaving dripping in pan. Add beef to skillet. Cook and stir until evenly browned; 2-3 minutes. Return onions and any juice to skillet. Add flour, brown sugar, cumin, salt, pepper, and beef broth. Cook and stir (scraping bottom of pan) for 5 minutes or until almost all the liquid is absorbed. Grease a cookie sheet. Separate crescent rolls into 8 triangles. Slightly overlap long sides of 2 triangles together to make one large triangle; press to seal. Repeat until you have 4 large triangles. Place triangles in a row, all pointing the same direction and overlapping, on the cookie sheet. Press to seal. Spoon onion mixture down the center in 1-1/2“ wide strip, leaving about 1” at top and bottom. Sprinkle with the cheese mixture. Bring side points of crescent rolls over the filling to create a braid-like appearance. seal ends. Sprinkle with 2 Tbsp. Parmesan cheese. Bake for 15-20 minutes or until deep golden brown. And there was the Tomato Soup, I always am afraid we might not have enough for dinner (this is something I inherited from my Mom!). 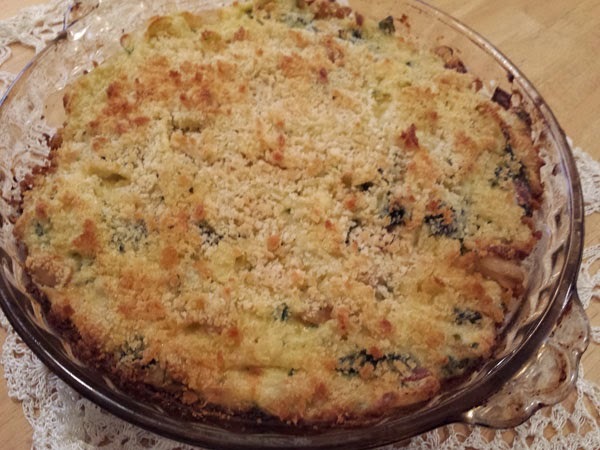 The recipe was from The Complete Cooking For Two Cookbook. This was perfect with strudel and I have a portion leftover for lunch. I only made a couple of changes in the original recipe. I left out the garlic and chives. My version of Creamless Creamy Tomato Soup, from The Complete Cooking For Two Cookbook. Heat 1 tbsp oil in medium saucepan over medium heat until shimmering. Add onion and cook until softened, about 5 minutes. Stir in tomatoes and their juice and mash with potato masher unil no pieces are large than 2 inches. Stir in bread and sugar, bring to simmer, and cook until bread is saturated and starts to break down, about 5 minutes. Process soup using immersion blender or regular blender with remaining 1 tbsp oil until smooth, about 2 minutes. Return soup to saucepan. Stir in broth and brand and bring to brief simmer. Adjust soup consistency with extra broth as needed. Season with salt and pepper.